Can you never find the document you need because of an unorganized work space? 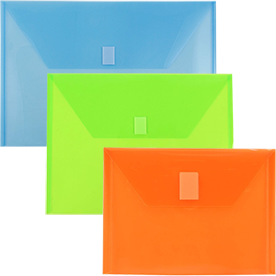 Get cleaned up with our Plastic VELCROÂ® Closure Envelopes. 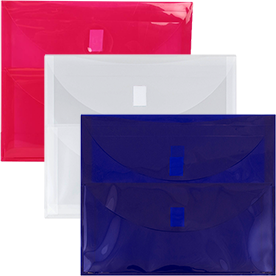 These protective envelopes are perfect for organizing your most important documents. 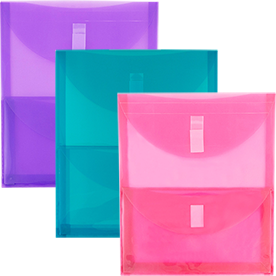 Use them to hold papers, forms, letters, pictures, or anything you can fit inside! The secure VELCROÂ® closure on each envelope makes it easy to take on the go, all while giving you that satisfied feeling of security. And being made of hard-wearing poly material, these envelopes can take a hit. 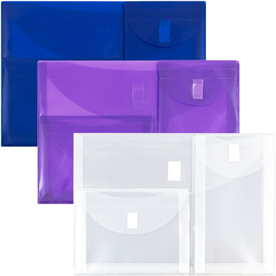 We've categorized our envelopes by expansion width or the number of pockets it has, this way you'll be able to find the perfect envelope for you whether you want more storage or more organization. 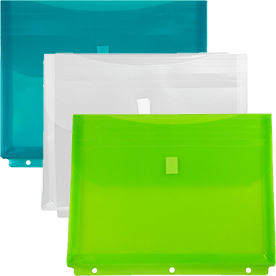 Our Plastic Document Holders are our most popular. Available in bright colors and lots of them, your office will get the best and most stylish organizational tool. 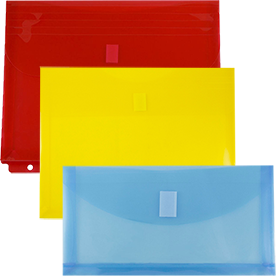 Our Plastic 1 Inch or 2 Inch Expansion Envelopes with VELCROÂ® Brand Closure will make your desk even less cluttered, especially since you can fit so much inside. Want to store that same amount but put them in different pockets? 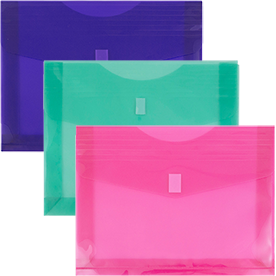 Try our 2 Pocket or 3 Pocket Booklet Envelopes. This way your index cards can be in one spot and your notes in another! Any document you choose to protect, protect with the VELCROÂ® brand.